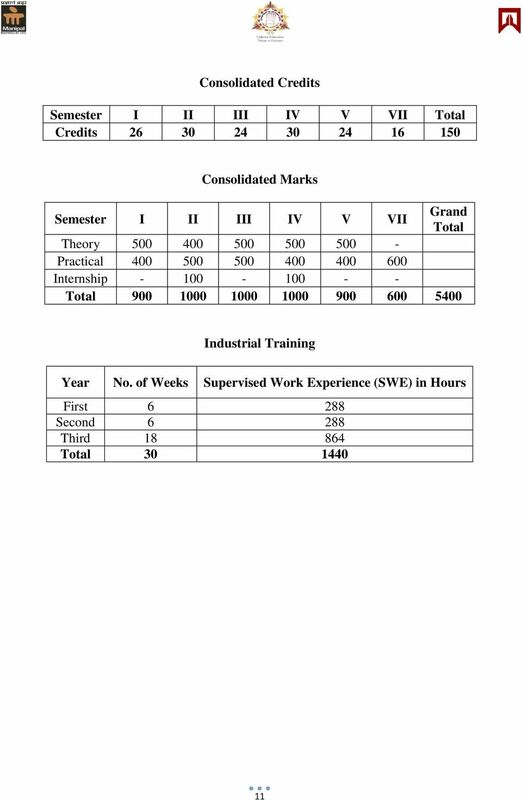 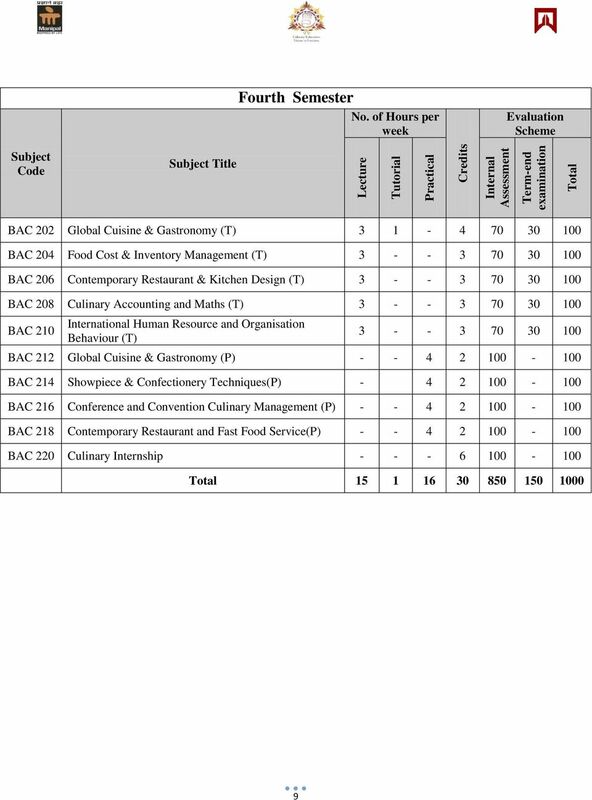 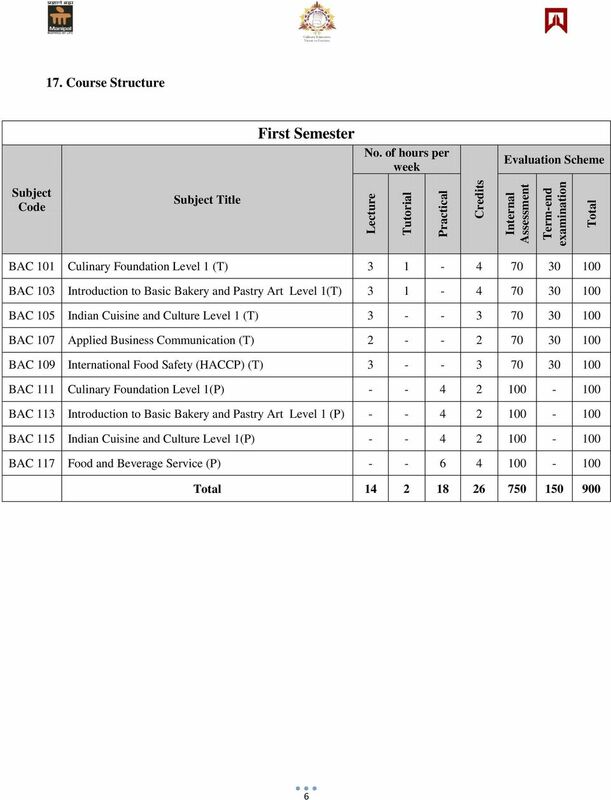 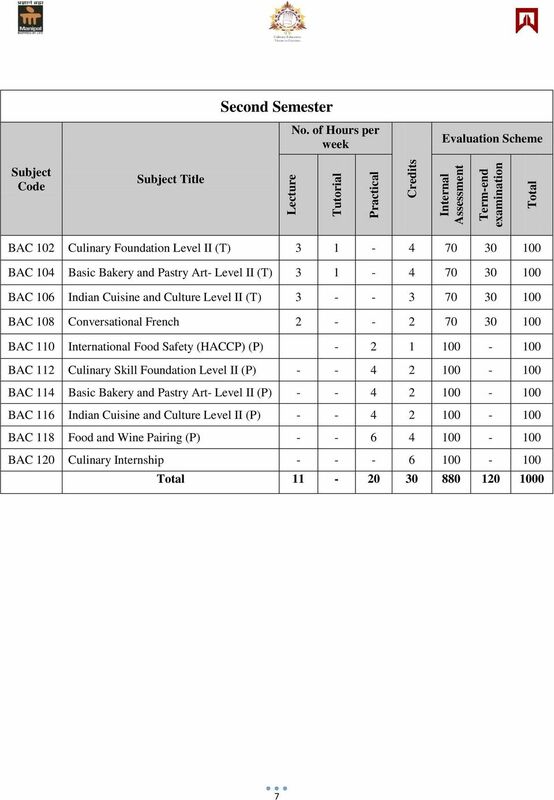 Download "DEPARTMENT OF CULINARY ARTS, MANIPAL UNIVERSITY. 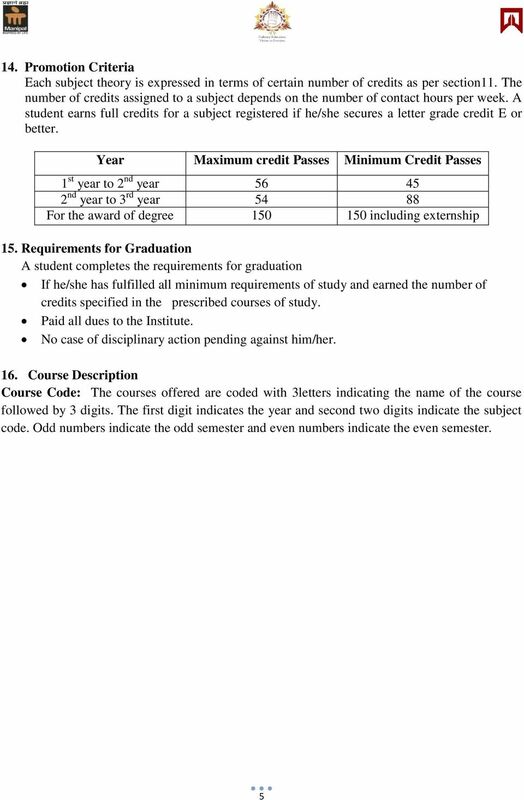 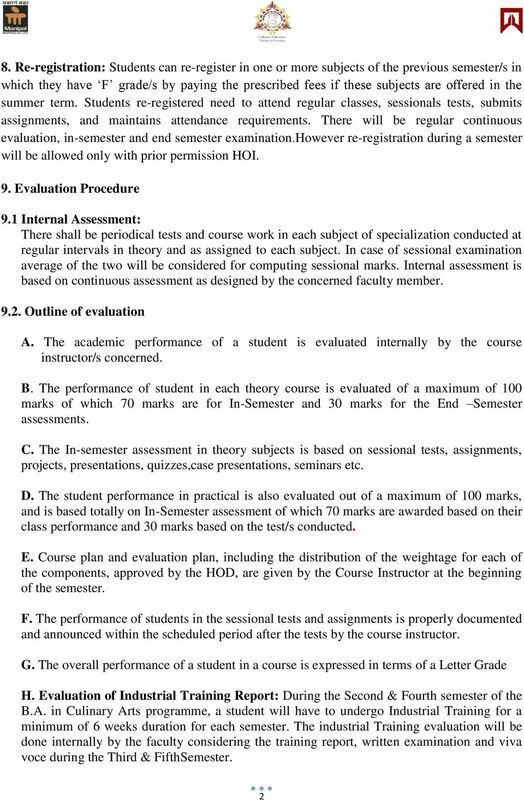 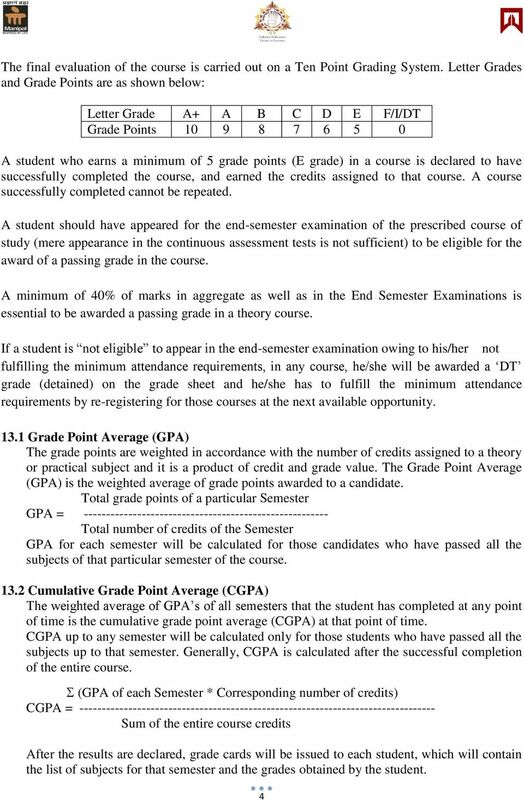 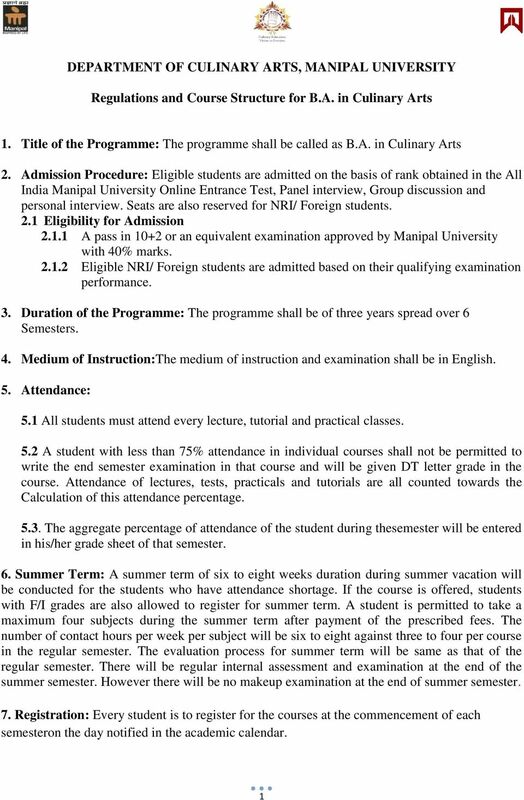 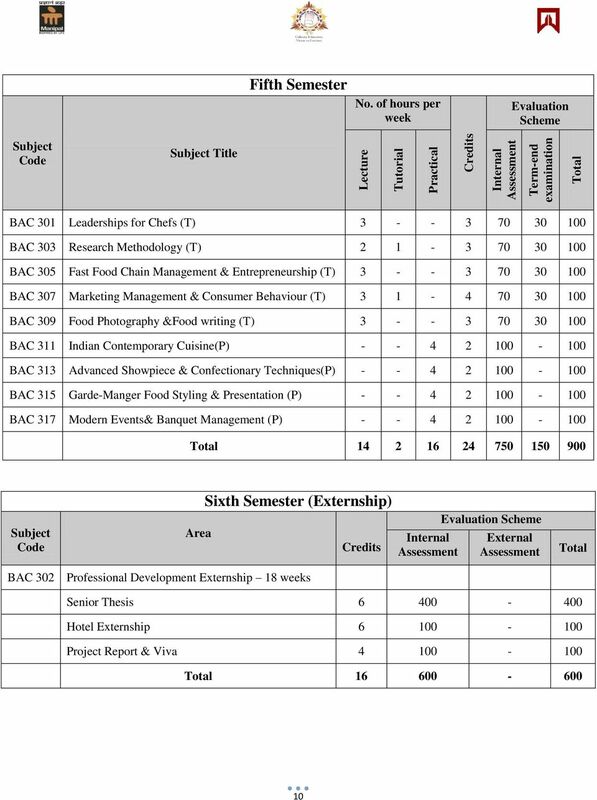 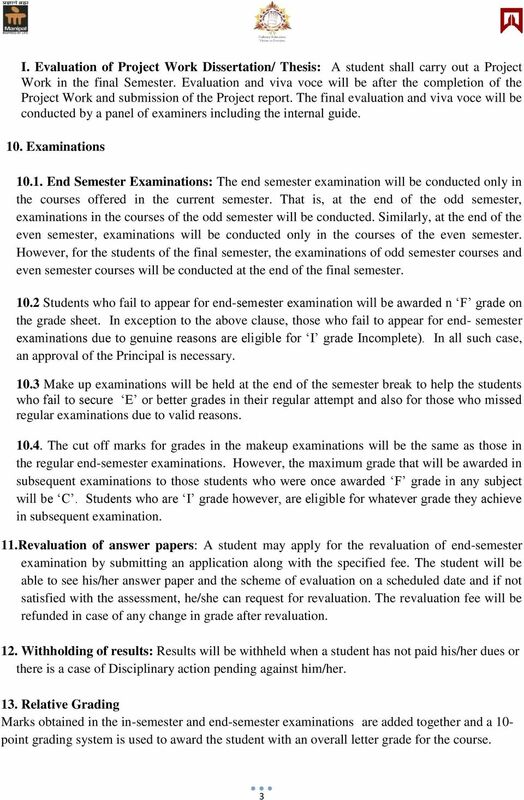 Regulations and Course Structure for B.A. 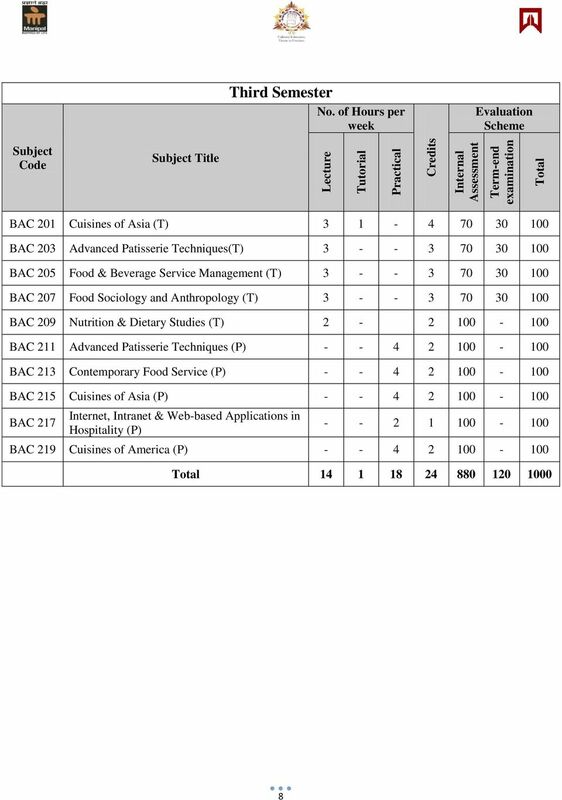 in Culinary Arts"